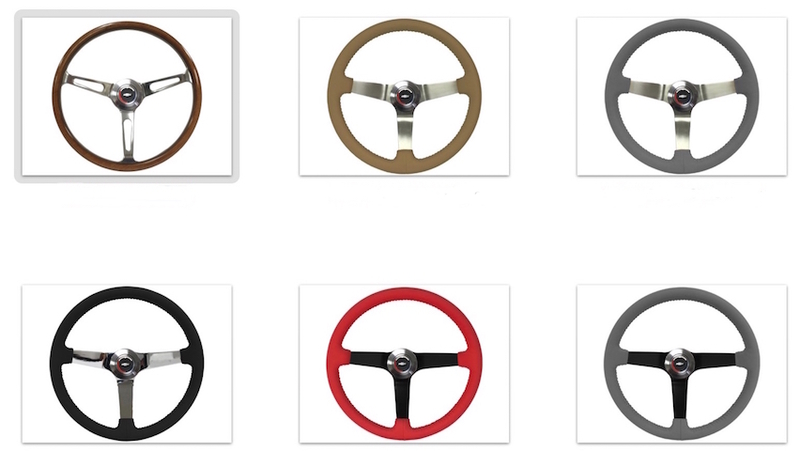 Brand NEW High Quality leather wrapped steering wheels with your choice of stainless steel brushed (satin), chrome or black finish center spokes for ALL 1967 to 1981 Chevrolet vehicles. Direct bolt with a deep dish design. 14 inch diameter with a 2 1/2 inch depth. Includes all mounting and horn button parts as pictured. Just let us know if you have a tilt or non-tilt steering column so we send you the correct mounting kit.